VIPracing Service is born from the Blood of Romagna with a piston engine as heart and we could not begin to propose food and wine tours except by the tour of the Route SS9 Via Emilia Fast Motors & Slow Food and invite you to follow us in a trip on the State Road 9, the historic Via Emilia. Also we would like borrow someone else’s words to celebrate our beautiful land. Fast motors and slow food, you know, are in the DNA of our land, so that even the major regional automakers have their origins in the agricultural world. To cross the SS9 Via Emilia it takes about 3 and a half hour trip, but we will travel slowly, pausing to look at the places and landscapes that will flow beside us, always different from the hinterland of Romagna to the low Piacenza, through the cities and countryside of our Po Valley. We will stop to listen to the stories that this road and houses tell us, stories made up of fields, monuments, unique production activities, local foods, and especially people. As the writer Carlo Lucarelli says in the documentary “Via Emilia. Distinguishing features ” the streets are non-places that exist in different ways depending on who goes through it. Here is our hints: we will travel in the saddle of an MV Agusta or on board of a sports car along the SS9 Via Emilia, the ancient road network that meets from Rimini to Piacenza expressions of identity as regional gastronomy and motors. You will travel among historic taverns and food shops, motorsports museums and major international circuits, antique enoteche, Restaurant’s chefs with several Michelin stars, an unmissable visit will be to Casa Artusi, the center of gastronomic culture dedicated to Italian home cooking. 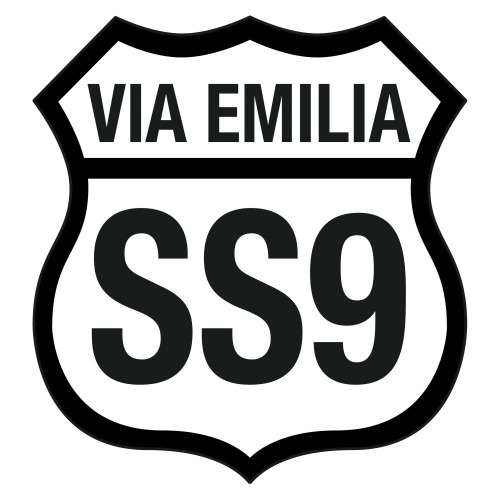 The SS9 Via Emilia, the ancient Roman consular road created to connect Ariminum to Placentia, tells past, present and future of Emilia-Romagna. Built in a hurry in 187 BC by the consul Lepidus on existing paths, the SS9 Via Emilia was conceived for military purposes (move nimbly the army) but became immediately functional and essential to a commercial use. The military project became in this way cheap, and therefore also social and cultural. 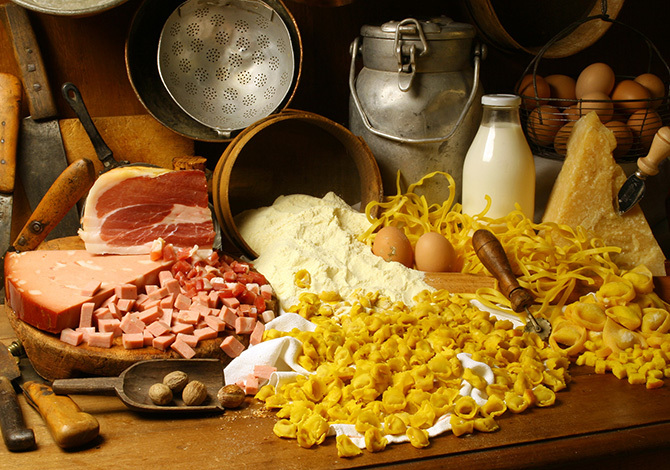 Those are still 270 km crossing of cultures, traditions, different languages and represent not only the hinge between the east and west of Emilia-Romagna, but also between the south and the north of Italy, towards’ industrious Milan. We will travel along it on a slow journey, in spite of the parallel highway, on a path that not only conveys along with the best of our region, but represents the unity in the diversity, the real glue of the “region with the hyphen” . ITALY ON THE TOP OF THE WORLD IN PASTRY ..